A decline in trade between Singapore and Gulf Cooperation Council (GCC) countries isn’t dampening the optimism which trade officials from both sides are feeling about a newly ratified free trade agreement. The decline from US$38 billion to $30.2 billion in the first half of 2013 was partly due to lower Saudi oil shipments, the Ministry of Trade and Industry said. UAE trade with Singapore remained steady with about $12.9 billion of trade, which were mostly oil and petrochemicals exports, from the Gulf region to Singapore. 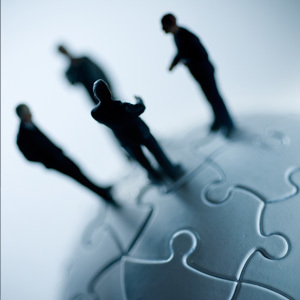 Nevertheless, business communities on both sides are still looking forward to working with each other in areas which were previously restricted. Singapore is also increasingly making use of its status as the economic hub of the east to position itself as the gateway to Asia-Pacific for Gulf companies from Bahrain, Kuwait, Oman, Qatar, Saudi Arabia and the United Arab Emirates. 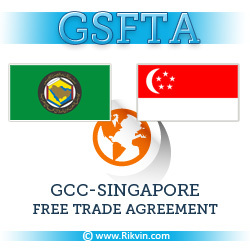 According to an article on the National titled “Optimism on GCC-Singapore free trade deal despite lower exchange”, Senior Minister of Trade Lee Yi Shyan said the GCC-Singapore free trade agreement (GSFTA) is an important signal to firms that the respective governments are making it easier for businesses in both communities to work closer with each other. The FTA will lower tariffs for Singapore-made goods and refined oil products, as well as grant preferential treatment to GCC nationals in Singapore in areas such as the law, engineering and retail. Singapore will also grant zero-tariff treatment on all GCC imports. Analysis by Rikvin finds that businesses such as those in the telecommunications, petrochemicals, jewellery, electrical and electronic equipment, machinery and iron & steel-related industries are especially expected to benefit from the FTA. Companies which have set up a presence in Singapore will also be better placed to enter Asian markets by using the island state as a springboard. Establishing their regional headquarters here would also be beneficial. Mr Satish Bakhda, Head of Operations for Rikvin, said: “Because Singapore offers such an ideal location for companies, established companies or entrepreneurs from the Gulf region will do well after setting up here. From attractive corporate tax rates to a slew of financing options, there is so much which Singapore can offer. Also, the vibrant financial and logistics scene makes Singapore an ideal location for setting up their regional headquarters. Mr Bakhda also said Asia is a burgeoning market which offers lots of opportunities for businesses from all over the world. “There is still ample room in Asia Pacific for products and services from the Gulf countries. Once entrepreneurs and firms identify a market which they can service, it is likely that their businesses will take off,” he said.